Can I Use AlarmNet Total Connect on My DSC Security System? No, you cannot use AlarmNet Total Connect on your DSC Security System. The Total Connect service is designed exclusively for use with Honeywell Alarm Panels. It cannot be used with any other types of security systems. However, there are similar services that a DSC System can interface with. At Alarm Grid, we do not sell any DSC Alarm Systems on our website. However, some of our monitored customers choose to bring over DSC Control Panels that they already own. A customer might have the panel because they were with a different monitoring company, or they might have inherited it from a previous homeowner. Regardless, using this previously owned panel will allow the user to avoid spending money on an all-new alarm system. Alarm Grid is happy to monitor these systems, and with the right add-ons, they can absolutely function just as well as any other security system. However, Honeywell, the operator of AlarmNet and Total Connect, designed the Total Connect interactive service platform exclusively for use with Honeywell Alarm Systems. This is done by making the service accessible only to alarm systems that are using a Total Connect communicator. These communicators will only work with Honeywell Control Panels. This makes it impossible for a DSC Security System to interface with Total Connect. That said, there are other options available for DSC System owners. 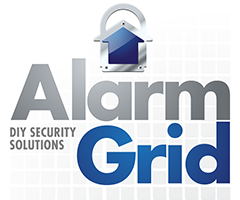 Alarm Grid customers can instead set up their DSC Panel to access the Alarm.com service. Alarm.com has set up its business model to sync with a diverse range of security systems from different manufacturers. As long as the security system has the appropriate communicator, it is capable of accessing Alarm.com. This includes DSC Systems. With Alarm.com a user can do virtually everything that they could do using the Total Connect service. In fact, Alarm.com actually has better integration with smart home voice assistants, such as Amazon Alexa and Google Home. This makes Alarm.com the preferred service of many users. To sync with Alarm.com, the user will also need an alarm monitoring plan that includes cellular service. The Gold and Platinum level plans from Alarm Grid include this service. More information is available on our Monitoring Page.